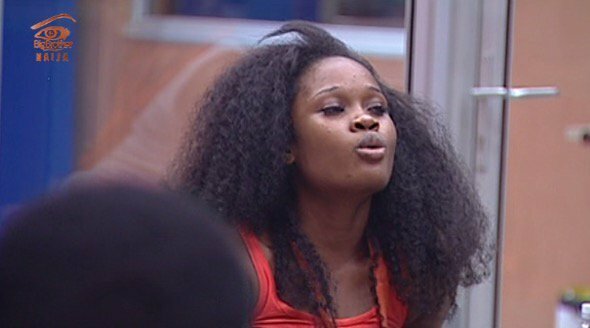 Big Brother Naija housemates, Cee-C has channeled her inner TBoss in herself, and has declared that the prize win, means nothing to her, as she can make the money in one week. 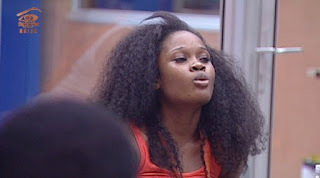 Cee-C was conversing with her fellow housemate, BamBam at the head of house suite, when she made the statement. Fellow Nigerians who probably are die-hard of the aforementioned show went hard on her, calling her All kinds of name on twitter. Below are screenshots of what people are saying about her. The housemates today, lost their wager for the second time in a row.. and biggie subtly told them, that they are “not entertaining the viewers”. 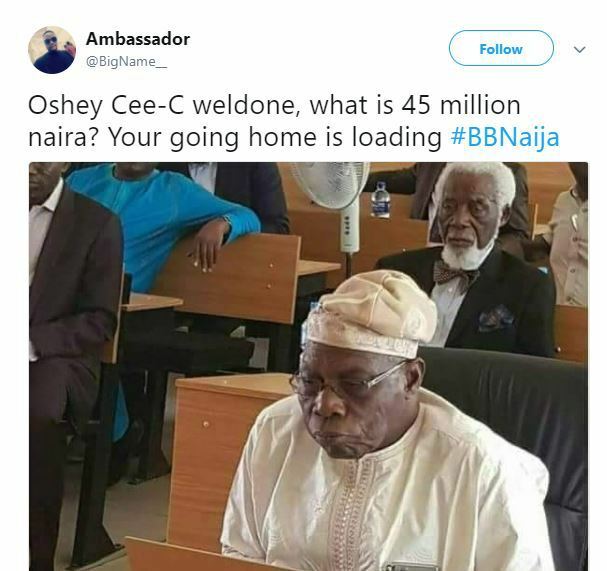 It should be recalled that Some Nigerians condemned the Big Brother Naija (BBN) show saying that the housemates aren’t entertaining the viewers. “A balance should be created between fun and depth.” They, while comparing the 2018 show with the 2017 edition with the theme ” See Gobe”, said that the 2018 show had not been entertaining enough. This is the second week the show kicked off and many Nigerians had said that it was not entertaining enough. 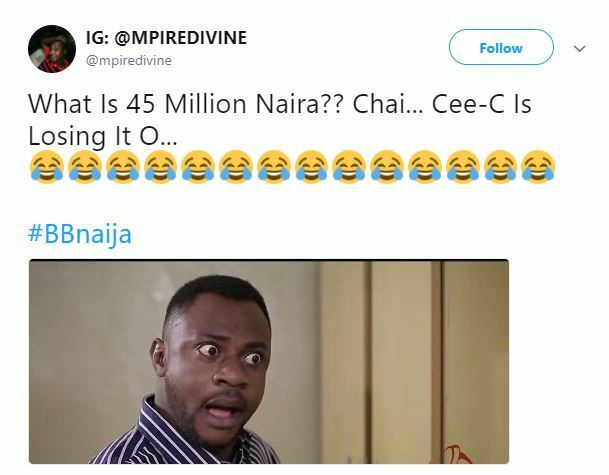 Cassandra Smith, a banker, said that the housemates were not serious and it appeared that they were more interested in catching some fun in the house than winning the whopping prize money of N45 million. She said they looked unambitious and were attending to issues nonchalantly referring to when the housemates lost their wager in their first week in the house. “The housemates are not serious, they are there to entertain us, and they are not doing anything serious that compared to the housemates from the 2017 edition. They should be made to sit up and entertain the viewers because that is the essence of the show,” she said.